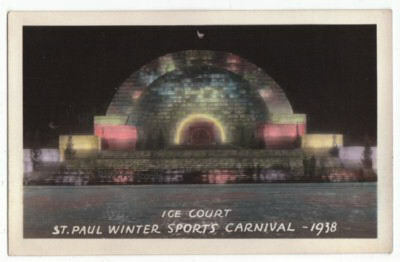 I recently became a member of a postcard forum called Postcard Collector.org. 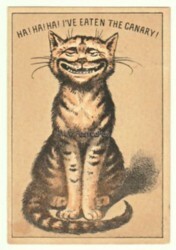 It’s a great place to learn about postcards as well as share your knowledge of them. One of the discussions was about C. Klein. It contained a lot of information on this artist I’ve not read elsewhere (i.e. her real name and birthplace, how to distinguish between her earlier work and later work, etc). 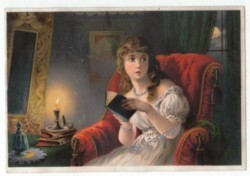 As she is a popular postcard artist, I thought my blog’s readers might be interested to read this discussion as well. 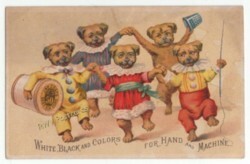 This vintage postcard is a later example of Catharina Klein's work as the signature isn't underlined. 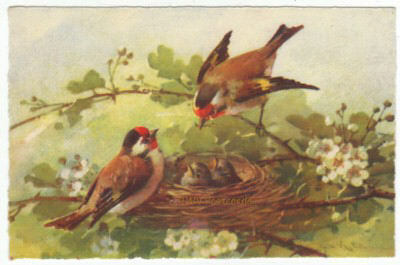 Many more beautiful bird postcards and artist signed postcards can be found in my store, Remember When Vintage Postcards. 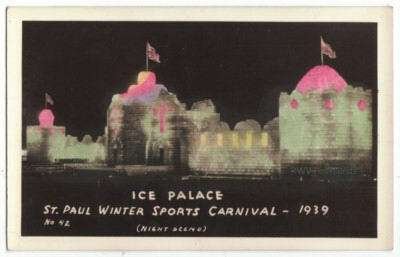 This postcard was part of a 900 postcard lot I recently bought; the same lot the ice palace photo postcards came from. It’s the bartender at Knott’s Berry Farm’s Silver Dollar Bar, which is part of their “Living Ghost Town” in California. 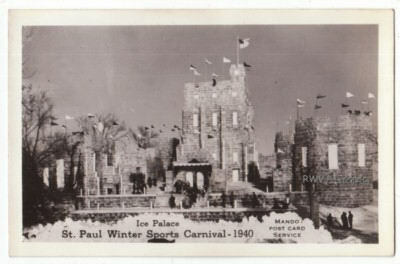 There are several more fascinating photo postcards of this ghost town on their web site. Enjoy your travel thru history! Mr. Knott named the boysenberry after Mr. Boysen, who developed it in 1932. It is a cross between a loganberry, blackberry, and raspberry. Why would someone want to cross those three berries? 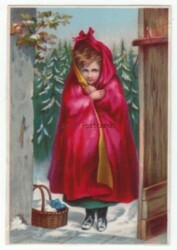 Many more wonderful photo postcards can be found in my store, Remember When Vintage Postcards. 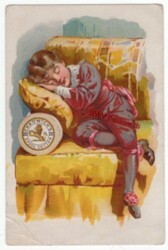 Yes, it’s been quite awhile since I’ve posted anything on this postcard and Victorian trade card blog. I’ve been going thru a “work is a naughty word” period. 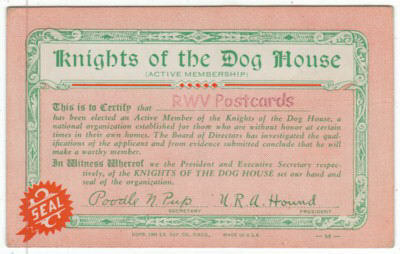 Guess that qualifies me for membership in the Knights of the Dog House organization. Where Was This Dog House Arcade Card Found? 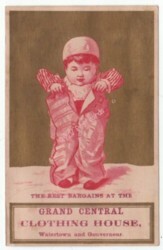 The posted image isn’t an antique or vintage postcard, but a piece of ephemera called an arcade card. 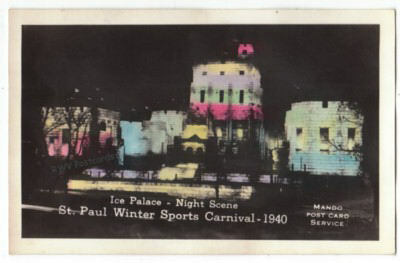 Arcade cards were the same size as postcards, had blank backs, and were made of thicker card stock. 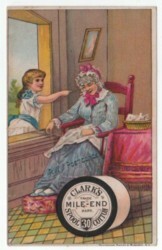 Arcade cards were obtained from penny vending machines usually found in amusement arcades (hence the name). I recently had the fortune to see one of these penny vending machines being offered for sale in an antique shop I visited while on my recent birthday trip. It stood on a stand like a gumball machine, but had no clear window where the cards could be seen. Instead, the metal box was covered in advertisements. 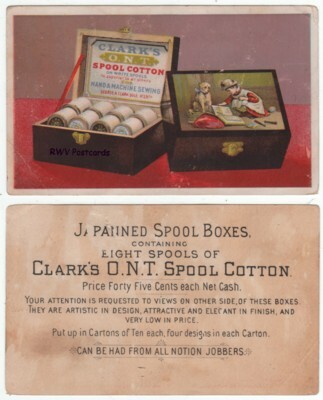 The arcade cards came out the bottom, similar to small boxes of detergent in laundromats. What a treat to see a part of popular 1930’s history I’d only read about before. Rotten Row is a sand-covered avenue maintained as a bridleway running along the south side of Hyde Park in London that allows Londoners to ride in the centre of London. This is the place referred to in all those saucy period romance novels many of us women read. Some believe the name comes from the word “rotten”, the soft material that covers the bridleway. At its height of use in the 18th century, Rotten Row was a fashionable place for upper-class Londoners to be seen. William III lit the avenue with 300 oil lamps in 1690 creating Britain’s first artificially lit highway.